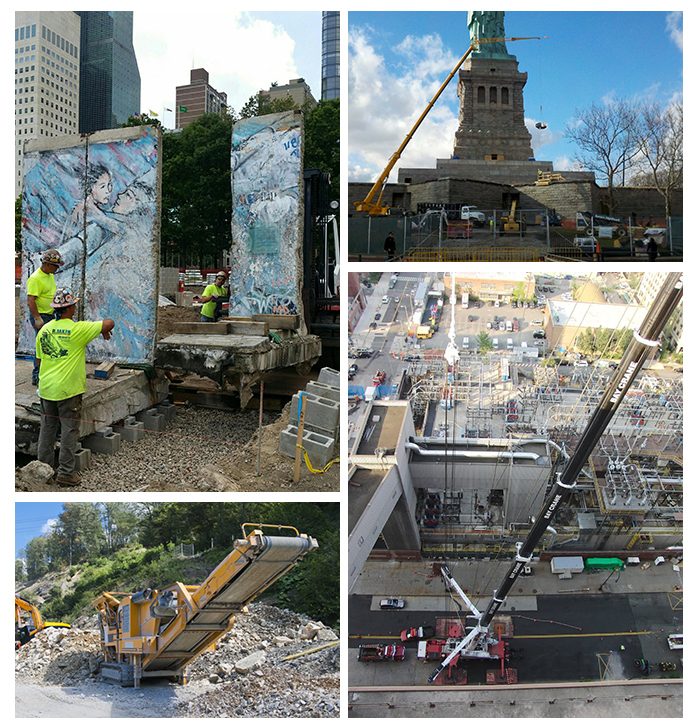 R. Baker & Son recently completed a project at Ellis Island as part of a storm recovery project following Hurricane Sandy. When Sandy hit New York and New Jersey in October 2012, buildings on Ellis Island were inundated with floodwaters, including the National Museum of Immigration. The museum’s archival documents and artifacts were mostly unscathed, but mechanical systems were severely damaged or destroyed, necessitating closure of the island and the evacuation of approximately half of the museum’s collection to a storage facility. Though Ellis Island and the museum reopened to visitors in October 2013, the collection remained in storage while a $39.4 million project to move critical mechanical and electrical systems above flood elevations was completed. On September 10, 2015, the exhibit collection was returned to the island, marking the 25th anniversary of the opening of the museum on Ellis Island to the public. R. Baker & Son’s portion of the project included, along with various other pieces of mechanical equipment, the removal of an old 750 kW diesel generator from the Main Immigration building. After placing the two-ton generator on rigging skates, Baker’s rigging team utilized a come-a-long to maneuver it out of the building and onto a flatbed truck. A crane was then used rig the unit onto a waiting barge.